Princess Motor Yacht Sales has announced the appointment of two new dealerships of the prestigious motor yacht brand Princess, with locations on Lake Zurich, Lake Lucerne, Lake Maggiore and within the beautiful Three Lakes Region to help strengthen the presence of Princess in Switzerland. Hensa Lago Marina, based in Altendorf, Lake Zurich, and Herzog Marinecenter, which has facilities in Alpnach, Lucerne and Gersau, will offer the Princess range of luxury yachts to customers across those regions. 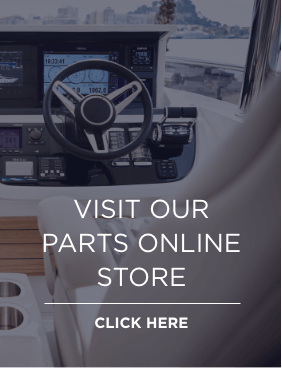 Their partnership with Princess Motor Yacht Sales brings together three family-run businesses who all share the same commitment to excellent customer service. Under the arrangement, Herzog Marinecenter will operate as Princess Yachts Vierwaldstättersee and Hensa Lago Marina as Princess Yachts Zurichsee, providing sales, part-exchange and comprehensive aftercare support. “These new partnerships are an exciting addition to our Princess network, giving us a ready-made platform to expand our coverage in a territory that is rich in potential,” explained Colin Capewell, Managing Director of Princess Motor Yacht Sales. Princess Motor Yacht Sales, which is owned by the Midlands-based Whale family, operates in the UK, Channel Islands, Spain (Malaga and Balearic Islands), Portugal, Turkey, and Germany. In January 2019, several of the latest yachts in the Princess range will be showcased at the Dusseldorf Boat Show. These will include four world premieres, including the Princess Y85, V78, F45, F50, alongside the exhilarating new Princess R35.